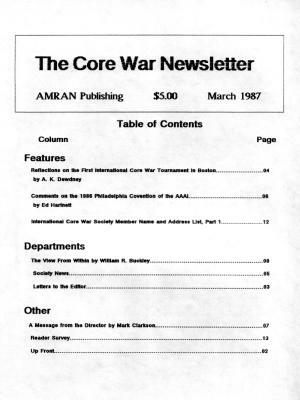 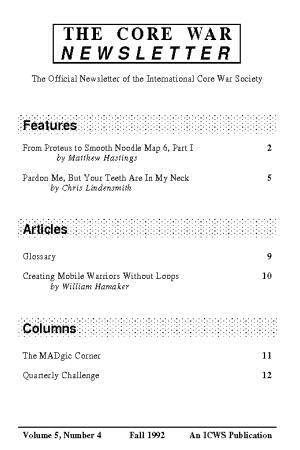 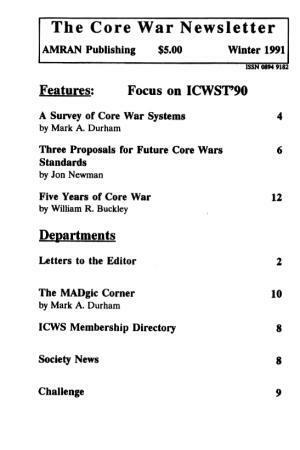 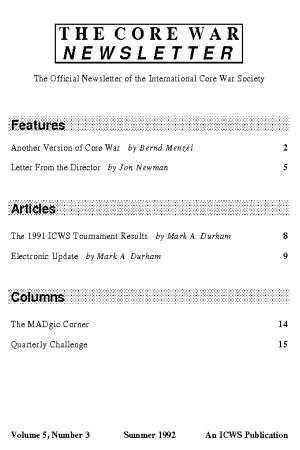 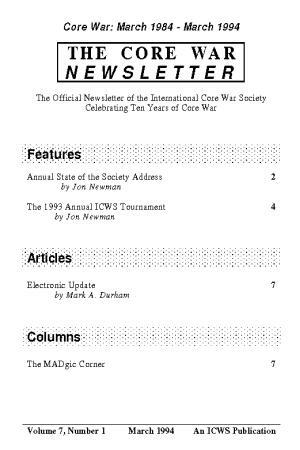 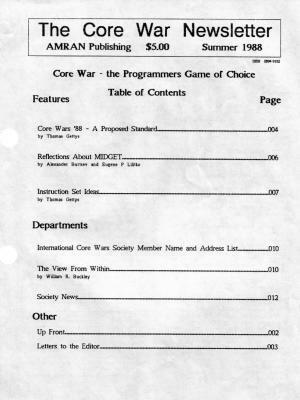 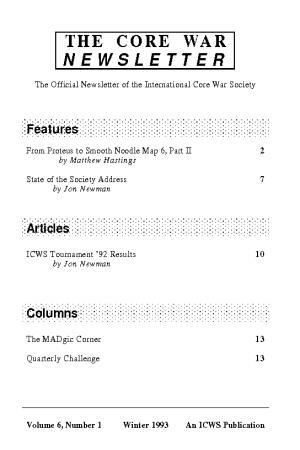 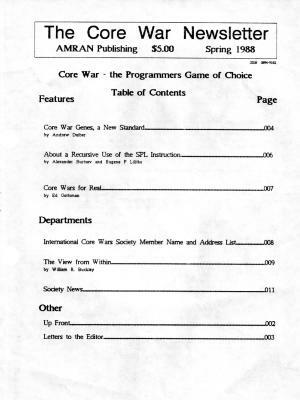 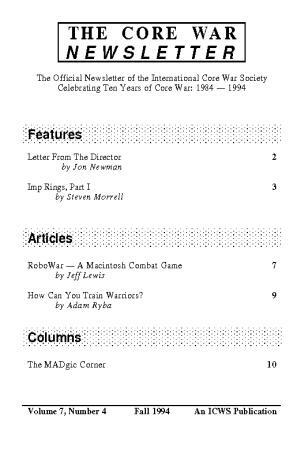 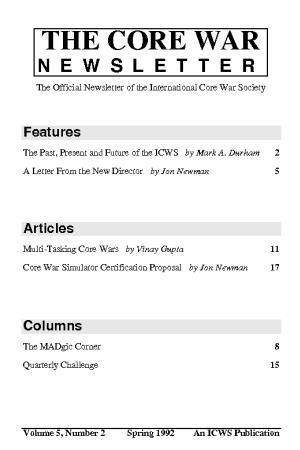 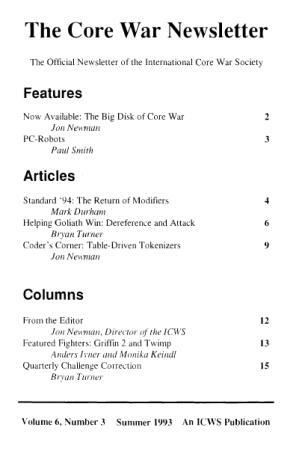 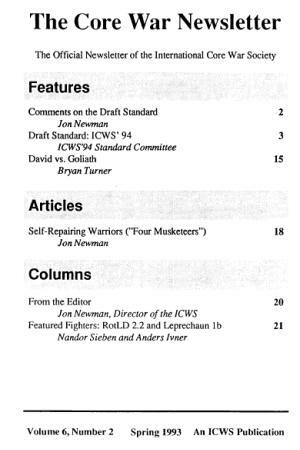 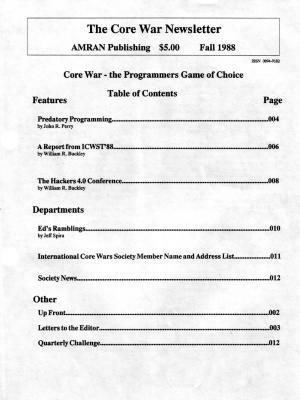 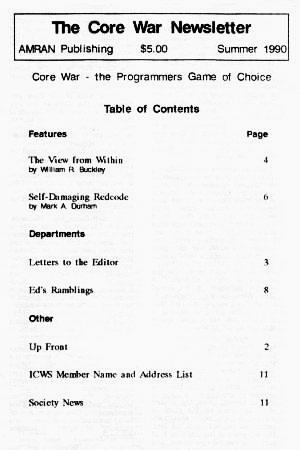 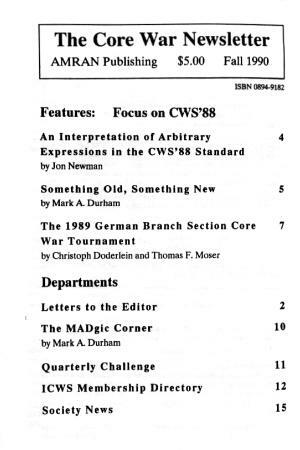 The Core War Newsletter was the official newsletter of the ICWS, published between March 1987 and Fall 1994. 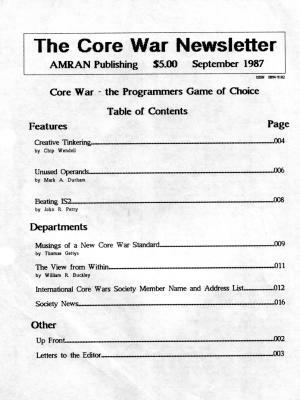 There were 18 issues, first published by founding editor William R. Buckley and later by Jeff Spira, Mark A. Durham and Jon Newman. 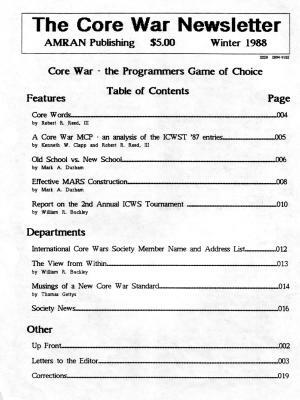 Availability: TCWN is covered by copyright. 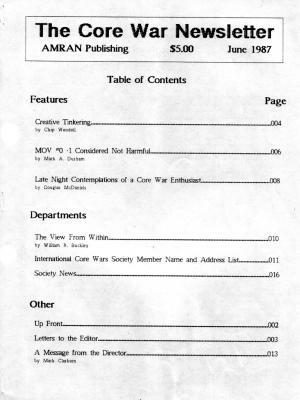 Back issues are available from William R. Buckley.